MCSO will be hosting our 2nd annual Jr Police Academy/DARE program. 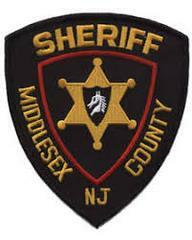 The Middlesex County Sheriff’s Office is excited to announce our 2nd annual D.A.R.E. –Jr. Academy this summer. Due to an increased interest in the D.A.R.E. program, Sheriff Mildred Scott decided to implement a summer program for all (children entering) 5th and 6th grade in Middlesex County in the 2019-2020 school year. This program will include the D.A.R.E. program, as well as a junior police academy. The program will run for two weeks, from Monday, July 8th to Friday, 19th, 8:30am-3:00pm (M-F). The $100 fee per child will include a t-shirt, a ball cap, a water bottle, and a graduation party at commencement. Our D.A.R.E. Jr. Police Academy class will be held at the Middlesex County Fire Academy, 1001 Fire Academy Way, Sayreville. Jr. Recruits will be responsible for their own lunches and snacks, as well as their own “gym style” shorts (fingertip length at least) and sneakers. Our daily routine will include roll call, platoon formation, D.A.R.E. lessons, lunch, drill, multiple demos and police lessons, and daily P.T. (physical training). We are limited to 60 seats, so please contact the office as soon as possible to reserve your spot, spaces fill up quickly. Registration will only be confirmed once we have the completed forms with payment. Please contact Sgt. Frank Sautner, S/O Tracey Miello, S/O Rob Galiardo at 732-745-5909 or Frank.Sautner@co.middlesex.nj.us between the hours of 8-4, M-F to schedule a pickup time for the full packet.